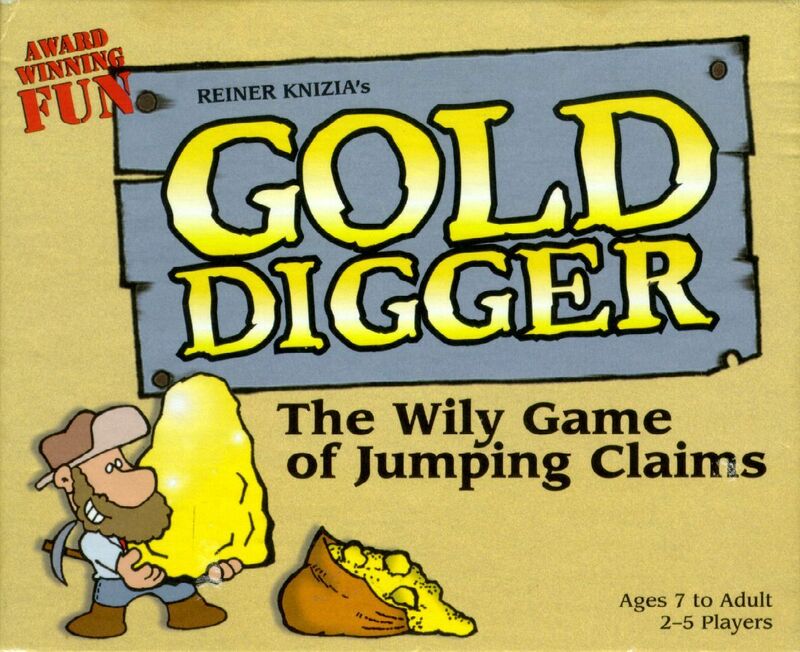 Gold Digger sets anxious prospectors on a quest to find their fortunes in gold. Picking the claims that will yield a cornucopia of riches ... but beware of fool's gold! The player that outwits all of the others, wins! Originally published as Goldrausch, it was republished in 2002 as Gold Digger by Out of the Box Publishing, with a revised 2nd edition published in 2006. Tactic re-published the game as Wapi, with a Native American re-theming (Wapi is apparently Cree for "the lucky one"). Rather than staking claims to mines, the game was now about dividing a hoard of silver. This edition is a de-luxe treatment with a board and plastic totems with which to make claims.